Home › Travel Lists › Christmas Gift Ideas For Travellers. Christmas Gift Ideas For Travellers. Looking for that ideal gift for the traveller in your life? Struggling to find something they would actually want or find useful on the road? Look no further! I know many of the shopping centres and supermarkets have had their decorations up since mid October, but it really is December now and that means we can really start turning our mind to the best time of the year, Christmas! Of course one of the best parts of Christmas (apart from getting presents of course) is actually giving them. The problem is what do you get for those travellers in your life who already seem to have it all and often have little need for random stuff? Don’t worry, whether you have a perpetual traveller in your life or a loved one dreaming of taking a gap year, here are my suggestions for some awesome gift ideas they will love! Ever since I discovered these amazing water filter bottles I have taken one with me on every trip, because lets face it, in certain countries you just can’t always get access to clean, safe water. Bottled water is generally the answer but the cost as well as the carbon footprint soon adds up. These filter bottles are the perfect answer for those travellers who have an eco conscience as the water filter completely negates any need to buy or carry countless plastic water bottles on the road, they can make safe, clean and tasty drinking water from any water source and they can even be used as a normal sports bottle for city breaks or the gym by taking the filter part out! 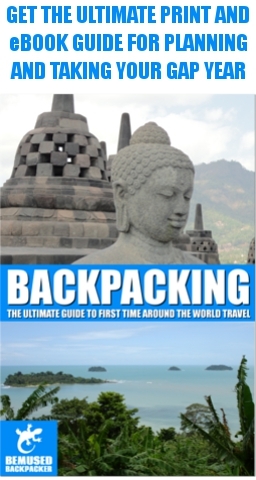 Read a full review here and remember Readers of Bemused Backpacker get an awesome 15% discount with the unique discount code BEMUSED15 by buying here. There are plenty of amazing cameras out there and it can be a tough call to choose the best camera for travelling with. I have used a Sony camera in one form or another pretty much since the digital camera first moved beyond the very first 2 or 3 megapixel varieties. (Yes I have been travelling that long!) I have only upgraded a few of times over the last ten or so years, and for me they are perfect. They take consistently great shots with very little expertise needed and are small and compact enough to keep in a pocket. They aren’t as trendy as a go pro of course, but I’d much rather take really good shots of the places and things I am seeing rather than endless vain selfies at the end of an attention grabbing pole! This is an absolute basic piece of kit for any backpacker, whether they use it on a night time mountain climb to see a sunrise or in the hostel at 3 am to avoid waking every other traveller up when sneaking in, they are an absolute must have item. They are also relatively cheap and are a great stocking filler. Buy one here. I have reviewed Pacsafe’s before, and they are in my opinion an absolute travel essential for any backpacker. These Pacsafe backpack protectors and not only keep your loved ones kit safe on the road but gives you the peace of mind that you have contributed to reducing their risk of having their stuff nicked! These towels are a basic essential in any backpackers kit and I absolutely love them. They’ll never be as comfortable as one of those huge fluffy ones at a luxury hotel of course but this is one instance where practicality wins over every other factor. It is small, lightweight, easy to pack and saves you the space and weight of having to carry around a traditional towel. It also dries ultra quickly, which saves you from having to carry around wet or damp towels if you have to leave early. Craghoppers, Lifeventure or Trespass are all good brands to choose, and you can buy one here, obviously just choose the size that is appropriate for you. Is 2015 the year one of your friends or family is setting off around the world? Are you planning to go yourself? These books make the perfect stocking filler for any of your friends or family who need advice, tips or inspiration to follow their own dreams of round the world travel, and they even make a perfect self gift to spoil yourself with! You can find the full range of eBooks and paperbacks here. When I first started backpacking paperbacks really were the only option if you wanted to read something in those long hours spent in transit or you fancied a lazy day in a hammock on the beach, and although the traditional book swaps in backpacker handouts were a romantic part of a bygone age of travel and a great way to find new authors, lugging round heavy paperbacks did add weight and take up space in your pack. E Readers have replaced all that and now you can carry a whole library in a small, light device! Trust me, if your loved one is an eternal traveller then they will love you for this! You can buy one here. I can’t travel without a good book, and have always had a couple of good novels on me. If you want a bit of action and adventure to keep you entertained on the road as well as a ton of prose about Egypt to inspire a good dose of wanderlust, then you can’t go wrong with The Sphinx Legacy! Available in both eBook version on all formats as well as traditional paperback version, you can buy your copy here. This post is not in any way a sponsored post. 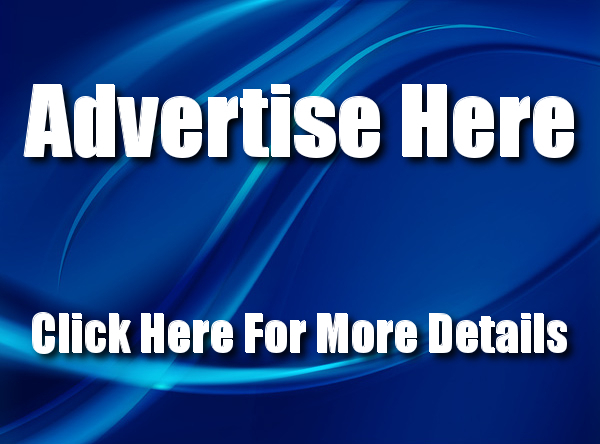 Although affiliate links are used to help pay for the upkeep of the site, I received no compensation or incentive for mentioning these products in this article, they are simply products that I have used myself over a period of many years travelling – or in the case of my books, have written myself – and am happy to recommend them to you. ‹ Bemused Backpacker Black Friday And Cyber Monday Sale! I love this list! That water bottle is especially awesome. I want the pacsafe and rolo! Yay!